Telkom target 13 Million Subscribers ~ " World Information "
JAKARTA - PT Telekomunikasi Indonesia Tbk (TLKM) has allocated funds amounting to Rp21 trillion to support programs The acceleration and expansion of the program Masterplan Economic Development of Indonesia (MP3EI) until 2015. Of these projects, the company targets 13 million subscribers. 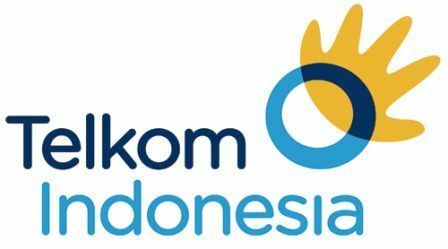 Head of Corporate Affairs and Telkom, Eddy Kurnia said the project Telkom true national broadband access is a project company in supporting the program MP3EI. The project will be done in stages starting this year to 2015 in all cities in Indonesia. "This project was conducted throughout Indonesia and starts in the big cities," he told SINDO yesterday. He explained that the funds needed to complete the project company was worth more than Rp21 trillion. Funding sources, Eddy said, the majority from internal cash because the company has sufficient cash to fund the project. Meanwhile, state-owned enterprises (SOEs) telekomunkasi the target number of approximately 13 million customers with broadband project's completion. President Director of PT Telkom Rinaldi Firmansyah previously said, the funds for true broadband access by 2015 to reach Rp21, 198 trillion. Project bradband trough broadband access and an access plan, Telkom is the equalization of broadband access in all parts of Indonesia. This project will be developed in six corridors, the corridor Sumatra, Java 2 corridor, corridor 3 Kalimantan, Sulawesi and Maluku corridor 4 North, 5 corridor Bali and East Nusa Tenggara and West Nusa Tenggara, and Papua and Maluku corridor 6.